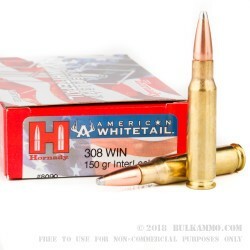 A very solid candidate for your big game hunting .308 Winchester loads. This 150 grain soft point cartridge is a value based load that gives you everything you need without the added marketing hype or fanfare, at a competitive price and with a soft point suitable for large game basically everywhere (check your local laws of course). The 150 grain weight gives good distance and velocity to improve muzzle energy at impact and trajectory while getting there. A very good ballistic performance with 2820 fps at the bore and 2650 ft. lbs of energy, this is a very solid component part I your deer, Elk or moose hunting experience. 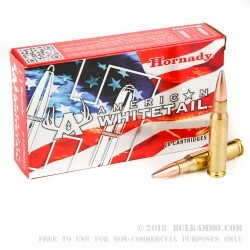 Hornady’s excellent quality control, premium components and muted marketing on this product really endears it to the shooter. Super centric in a field full of varied loads, this is just a great balanced offering. 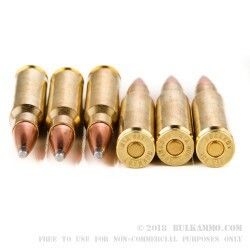 The reloadable brass is a perk, but the accuracy and simple, effective projectile is what makes it so well received and such a solid performer. 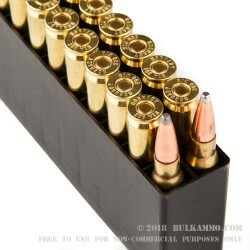 Suitable for use in any platform of .308 Winchester, this ammunition is particularly well suited to hunting bolt actions where the tolerances are mainstream and you’re looking for ranges from 80-175 yards. Shot like hell! love them!